Recently, I confessed to writing up, over thirty years ago, some short vignettes about my life and getting a less-than-enthusiastic response from a friend to whom I showed it. That scared me away from writing about my life. But memoir-writing is hot nowadays, not only because people want to become famous and/or make lots of money, but because they want to have some piece of immortality, for family and friends or just for the universe in general. 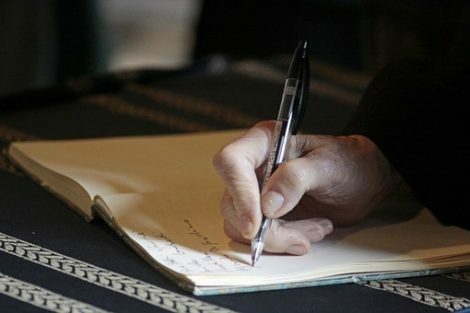 I think memoir-writing is a fantastic way to get perspective on your life: to see the many connections between events, to understand what has shaped you both for the good and for the bad, and to put to bed old grudges and disappointments. 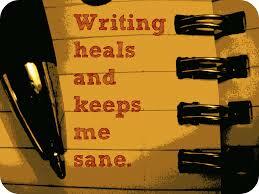 And it can also help tremendously with your “real” writing, both fiction and nonfiction. Simply put, a memoir is a set of vignettes about your life, with a major theme or angle. It is NOT autobiography, which is more of a blow-by-blow of your life. To tell the truth. Since your goal is to tell the truth, remember that the truth is “funny and sick and therefore true….We write to expose the unexposed….What gets exposed is not people’s baseness but their humanity” (Anne Lamott, Bird by Bird, pp. 188, 198, 200). While you don’t have to go right out and tell your readers in black and white what your goal is in this memoir, you must have it personally in mind before you write. Will this memoir be just for myself? For a general readership? For family and close friends? For just my family? Will it be for my nuclear family only, or for the greater family? Will those reading it be adults? Youngsters? A specific, niched audience? This will impact the way you write (tone), the order of the chapters, your angle (childhood, career, marriage, etc. ), the words you choose – everything. Is my goal to publish, to give my family a chronicle of my life, or to understand my life and my choices? Or will this memoir be an act of healing for me? Am I writing this memoir to get revenge on people, or to settle old scores (not recommended)? No matter whom you are writing for – even yourself – you must not write looking over your shoulder, wondering what your audience will think and/or trying to write flowy prose with an eye to writing the next bestseller. You think you’re a special snowflake whose story everyone wants to read. Anne Lamott tells how she submitted a story to a magazine, only to have the editor write her this rejection letter: “You have made the mistake of thinking that everything that has happened to you is interesting” (page 193). You can’t stand to cut and edit. Unless you’re writing only for yourself, you’ll need to do both of these – just as you’d do with a “real” book. 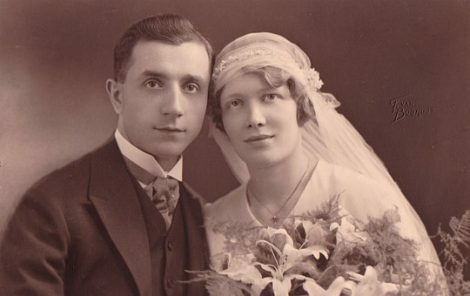 One of my subscribers, Fred R., whom you’ll hear more about in my next blog, cut the first half of his memoir from 290,000 words, “with detail galore, strewed with countless irrelevancies and wanderings-off,” to 80,000 words. Writing a completely private memoir is the easiest, as you don’t have to edit excessively and you don’t have to worry about anyone being offended. It’s therapeutic, too. Force yourself to face the bad with the good; get it all onto the page. It’s illuminating to see the continuum of your life in black and white. Pieces of the puzzle will come together, and your comprehension of events will be enhanced. With regard to traumatic or humiliating events, you might find yourself understanding them from a different perspective, leading to forgiveness of yourself and others. Zinsser continues: “You write your remembered truth, not someone else’s.” Your book will be yours; not your sister’s, your mother’s, your spouse’s, or your children’s. Writing for family is a whole different kettle of fish. Here are four reasons why. You’ll have to decide just how much you’re willing to reveal about yourself – but whatever you decide, you must tell the truth. They’ll be interested in family history as well as in you. Try to give as much information about your forebears as possible. Zinsser suggests, “When you write your family history, be a recording angel and record everything your descendants might want to know” (On Writing Well, p. 286). While I agree that if you’re writing for your family you will have to give cold, hard facts, remember that everyone loves a story. This is as true in nonfiction as it is in fiction. Your family will especially want to read anecdotes from your life that will give them a comprehensive and interesting picture of you. You don’t have to be as “author-y” as you’d need to be if you were writing with an eye to publish – but why not give it your best effort anyway? It might be more difficult to write just for family than for the public, as you won’t be able to escape into anonymity. You might pull a few noses out of joint, and you yourself might be embarrassed. Nevertheless, get the story down first and then worry about the possibility of hurting people. “Don’t look over your shoulder to see what relatives are perched there” (On Writing Well, p. 286). 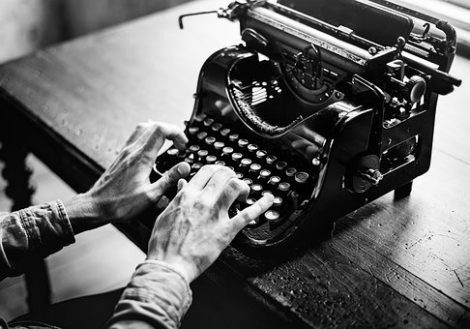 Don’t write in an effected style, and don’t pretend you’re Hemingway, Dickens, or even Elizabeth Gilbert. It will only make you sound pompous. Write from the heart, and it will enter your readers’ hearts. In my next three posts, we’ll cover writing a memoir with the intent to publish, choosing an angle, the benefits of writing memoir, the nuts and bolts of writing memoir, and more. In the meantime, start thinking about jotting down some old memories and impressions – even if you have no intention of writing a memoir. What events have shaped you? Influenced you for good or for bad? Do you recall those events from the perspective of a child or an adult (either one is legitimate)? Let me know in the Comments whether you’ve ever written a memoir or considered writing one. For those of you who have written something, what’s one piece of advice you can give us? For those who are considering writing one, what events or subjects do you want to focus on? What’s preventing you from starting? Billie, I had the same concern. Then I read about creative nonfiction. Since I knew I couldn’t remember all the dialogue, I knew I had to go for the context for most of my memoir. Changing the locations, using fictitious names, and other hints were things I read or was told about. I still hope some readers don’t connect certain events with certain characters. But I’m much more confident that things in my memoir will get the point across without causing havoc with families of my characters. Most of them know I had a shady time in my life, and that their family or friends were a part of my life during that time. Taking courses on writing memoir helped me to continue and today I have mine pretty much all written—just have to tie the events together with the narration I’ve written. I’m looking forward to launching my book in a few months.. I pray it will take off, will convey the message that is the reason for writing this memoir. Wishing you the best. and hoping you don’t give up until you are sure there is no way to publish. Judi, great comment; thanks so much for contributing to the conversation. Please be sure to let me know when your memoir is published! Thank you for covering the topic of memoir writing. I’ve seriously considered writing a memoir of my spiritual journey, which has some difficult and painful spots in it. The challenge I face is that, while the people involved are deceased, their children and others are still alive and will recognize the people even if I describe the events without the names. I included an excerpt of the memoir in the application packet for a two-year spiritual intensive in which I participated a few years ago. I felt safe as the program directors didn’t know any of the people involved. Thanks for sharing this, Billie. It’s great to have a workshop or writers’ group for nonjudgmental feedback and support in your writing. Good luck writing the memoir. It’s a noble endeavor!